Griffey Junior Naps (or Not); the Real Story is, Why Do We Know About it? Much has been made during the last few days of a nap that Ken Griffey Jr. may or may not have taken in the clubhouse during the eighth inning of a recent game. 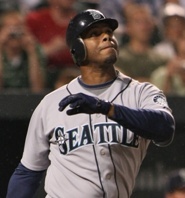 If it happened as alleged by a source to the Tacoma News Tribune, it kept Griffey from being available to his team as a pinch-hitter. Griffey and Mariners manager Don Wakamatsu deny that was the case, although Griffey has yet to unequivocally shoot down questions about whether he might have been sleeping in the clubhouse at any other point during the game. Clearly, this is not the way he wanted what are likely his last months as a professional ballplayer to play out. What you see here, what you do here, what you say here, let it stay here. It’s a code of omerta, a concept popularized by the Italian mafia to highlight the tradition of silence when it comes to conversation with outsiders. Ballplayers are expected to honor that silence when it concerns things that happen behind clubhouse doors. Which is why it’s so shocking that “two younger players” filled News Tribune writer Larry LaRue in on Junior’s sleeping habits. 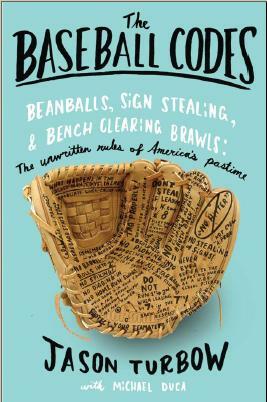 The reaction of the rest of the team is no different than that of the Yankees after Jim Bouton came out with his groundbreaking Ball Four account of their daily activities while they were still active players. Unless a teammate didn’t do it. There are grumblings that it wasn’t “two younger players” at all, but somebody in the front office who spread the rumor, in a deliberately mis-attributed fashion. The motivation would be clear: at age 40, Junior is hitting .200 for the M’s, with only two extra-base hits—both doubles—in 80 at-bats on the season. The same story that broke the news of his napping habits suggested that he was days away from losing his position as the team’s left-handed DH, if not his roster spot entirely. The trouble is, the guy is so iconic in Seattle that the prospect of negative fan reaction should the team cut him can’t be easy to stomach for General Manager Jack Zduriencik. This isn’t to suggest that it was Zduriencik who got into LaRue’s ear, or a member of his staff, or anyone other than the young players as claimed—only that a little PR hit like this for Junior, with no lasting repercussions to his reputation, might grease the skids just a touch, and make an eventual parting a skosh more painless for the guys doing the cutting. That the front-office rumor is even able to exist, however, speaks to the insidiousness that can permeate a ballclub when confidences are compromised.